Several industry reports indicate that digital ad spends are globally set to surpass traditional ad budgets in 2019-20, the Pitch CMO Summit Delhi discusses how brands and marketers are reshaping their communication campaigns to achieve a lasting brand identity and a sustained brand lineage. India enjoys an equitable position currently with more than 50% of its population below the age of 25 and more than 65% below the age of 35 and for most brands. Coupled with the fact that a rapidly growing number of Indians look towards digital mediums as a primary source for all their information, this audience pool is the perfect oasis to reach across to. The panel at the Pitch CMO summit will look to pick the minds of industry leaders and find out the tricks that help them craft a sustained digital presence. Individual speaker sessions would be driven around the digital space and how brands, small or big, are realising the importance of this weapon as possibly the most lethal one in their armory. The second edition of Pitch CMO Summit is a flagship property of the exchange4media Group. It witnesses a gathering of the best minds in the business of marketing. The conversations at the summit each year revolve around current and relevant marketing topics in a changing global market scenario. With user habits becoming increasingly available to marketers through IoT, Individualization is definitely reshaping the future of the global marketing landscape. The panel discusions at the Pitch CMO Summit will look to pick the minds of industry leaders and find out the tricks that help them craft a sustained digital presence. Individual speaker sessions would be driven around the digital space and how brands, small or big, are realising the importance of this weapon as possibly the most lethal one in their armory. Several industry reports indicate that digital ad spends are globally set to surpass traditional ad budgets in 2019-20, the Pitch CMO Summit Delhi discusses how brands and marketers are reshaping their communication campaigns to achieve a lasting brand identity and a sustained brand lineage. India enjoys an equitable position currently with more than 50% of its population below the age of 25 and more than 65% below the age of 35 and for most brands. Coupled with the fact that a rapidly growing number of Indians look towards digital mediums as a primary source for all their information, this audience pool is the perfect oasis to reach across to. The panel at the Pitch CMO summit will look to pick the minds of industry leaders and find out the tricks that help them craft a sustained digital presence. Individual speaker sessions would be driven around the digital space and how brands, small or big, are realising the importance of this weapon as possibly the most lethal one in their armory. 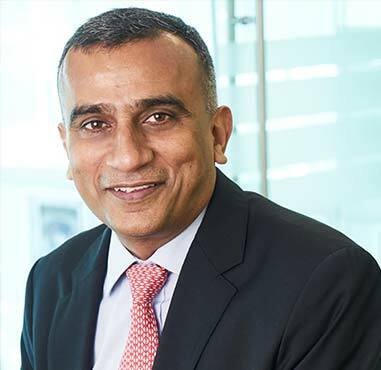 Sudhanshu Vats , Group CEO and Managing Director Viacom18 Media Pvt. Ltd.
Sukanto Aich isthe Chief Marketing Officer - South Asia for Signify Innovations (formerly known as Philips Lighting), the global leader in lighting products, systems and services. 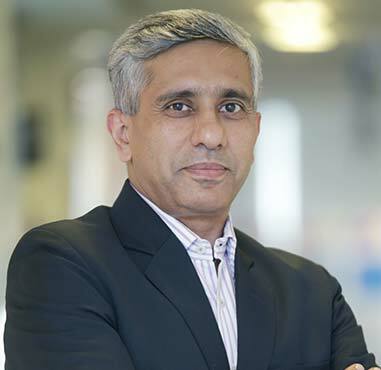 He took on this role in April 2018and is responsible for driving and building marketing and strategic initiatives in the Indian Subcontinent. He has also been entrusted with creating a strategic vision and plans while ensuring sustainable business processes. Sukanto joined Philips in 2014 as a Senior Director for Philips Lighting India, and headed Enterprise Sales for the division for the region. He also worked very closely with leading B2G and B2B customers to provide energy efficient and smart connected lighting solutions. He brings more than 25 years of experience in marketing and business leadership roles. Prior to Philips, he has had successful stints at Tata Docomo, Bharti Airtel, HCL, etc. He has extensive experience in leadership positions, managing bothlarge and small business units and teams, establishing global businesses and successfully turning around challenging business units. Sumit holds a Post Graduate Diploma in Management, Marketing and Finance from the prestigious Indian Institute of Management Calcutta, and also a part of the Executive Leadership Program at Indian School of Business. 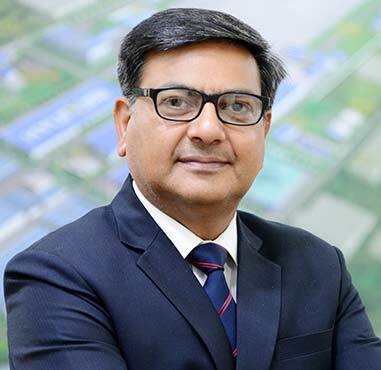 Puneet Anand, Senior General Manager & Group Head (Marketing), Hyundai Motor India Ltd.
Puneet Anand is an automobile professional with over 21 years’ experience in Automotive Marketing, Sales & Service Operations. He has vast experience in Field Operations, Customer Relations, Dealer Development & Planning Departments, Insurance Business, Service Marketing and Training of Dealers. Prior to Hyundai Motor India, Anand worked with Mahindra & Mahindra for 2 years. He holds a Bachelor Degree (Hons.) in Engineering from Malaviya National Institute of Technology and a Post-Graduate Degree in Business Administration from Korea University (South Korea). AnamikaSirohi has built brands and businesses for over 17 years in various MNC and Indian organizations, mainly in foods and personal care and is on the CMO Council “100 most influential marketers” list for 2018. She has also led media, digital, design and brand communicationat Nestle India. Pradeep is a seasoned media professional. In his career spanning over two decades, he has been a ‘Client’ responsible for getting the best ROI from the media investments made by his companies as well as Business Head of a media organizations, which had ad based business models. His media career started in 1993, with a newspaper organization. In 1997 he got exposed to the digital side of the business and since then has been part of five start-ups. His expertise lies in scaling up businesses and in building new revenue streams. 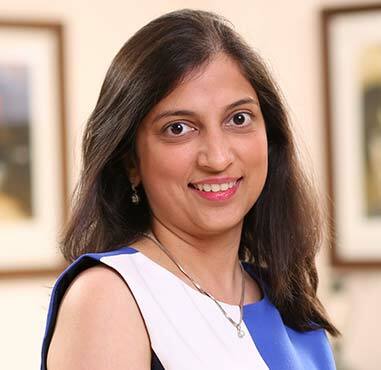 Neelima Burra is the Country Marketing Director of HP Inc. India. She is responsible for managing and growing HP’s brand and marketing business in India. 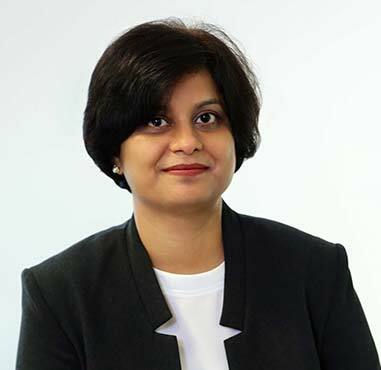 An acknowledged domain expert in Brand Marketing, Integrated Business Planning and thought leadership, Neelima is a change leader and has spearheaded the turnaround of Businesses, enhancing P&L, in both B2C and B2B industries, receiving several awards and accolades for the same, across her career. With an experience of over 18 years in Category, Sales & Marketing domain, Neelima has worked across sectors such as IT, FMCG, Consumer Durables, FMCD, and Healthcare Industry. 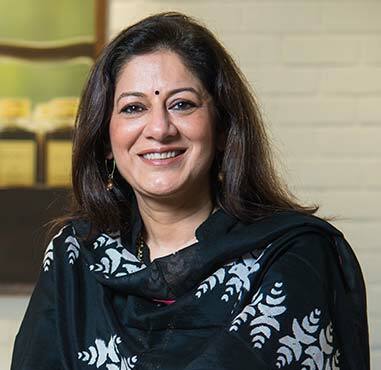 Prior to bringing her expertise to HP Inc. India, she been associated as the Chief Marketing Officer & Business Head – Health and Wellness at Cargill India Pvt Ltd..
She has also worked with Whirlpool Corporation India as Category Head - Refrigerators Business and Brand Manager of the FMCG Super brand - Tiger Biscuits with Britannia Industries Ltd. among many others. Neelima held the position of President – Indian Olive Oil Association in 2016 - 17 and Vice President in 2015 – 16, served on the Board of Advertising Standards Council of India (ASCI) in 2015 – 17. 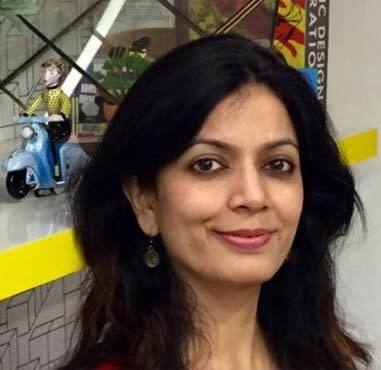 She is also on the jury panel of the Advertising Club of India for Media, Digital and Marketing Awards. A seasoned marketing professional, Anika joined Max Bupa in 2011. As the head of the marketing function, she is responsible for the overallBrand Strategy and Marketing Communications for the brand. She leads Brand Planning, Communications, Digital and Social Media platforms, Consumer Insights, Loyalty and Customer Relationship Management for Max Bupa. Anika has been instrumental in positioning Max Bupa as a preferred family health insurer and making Max Bupa one of the most talked about brands in the segment.She conceptualized Max Bupa Walk for Health, the brand’s most ambitious campaign and one of the most successful health initiatives in the country. With over 13 years of experience, Anika has a wealth of marketing experience across India, Middle-East and African markets. Prior to joining Max Bupa, Anika spent more than six years in Nokia India and Nokia Corporation. Anika also had a brief stint at the Indian Cellular Association as the Deputy Director Projects. 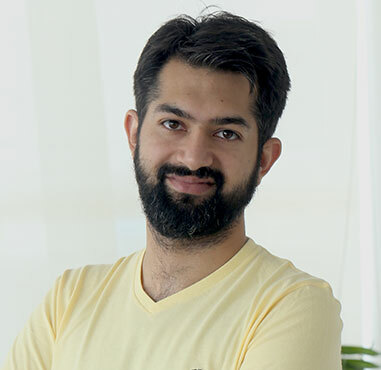 Achint Setia is Vice President at Myntra Designs Pvt Ltd, India's leading online fashion retailer. He looks after Myntra's Digital marketing, Content investments, Loyalty program business and Marketing strategy & Analytics. 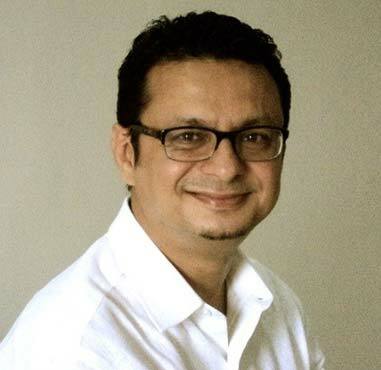 He has rich experience across E-Commerce, Media, Management consulting and Software development. 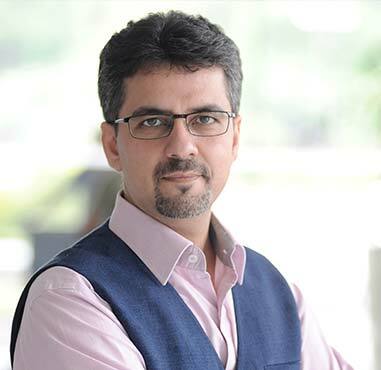 Prior to this, Achint has held senior leadership positions at Viacom18 Media, one of India's largest media networks, across various roles including leading the Group Strategy, M&A, Business Development and Data Sciences along with building new digital businesses and running the startup accelerator for Viacom18. He has also worked at McKinsey India as a consultant and Microsoft R&D as a software developer. Setia holds an MBA in strategy and finance from Indian School of Business and is also an alum from Stanford Graduate School of Business. 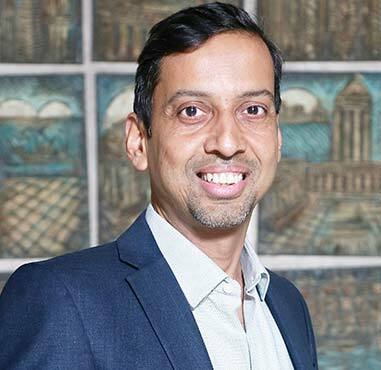 As the Country Manager for Alexa Skills, Dilip has been spearheading partnerships with brands, agencies as well as Indian developers to expand the number and quality of engaging voice experiences on Alexa. He leads the team that builds and grows the Alexa developer ecosystem in India and enables discovery and customer engagement of Alexa skills. 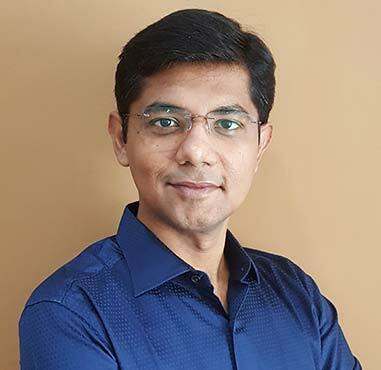 Dilip joined Amazon in November 2012 and in these six years has held multiple positions from business development to product management managing their deals, events, affiliates and other strategic partnerships and has been fortunate to witness the growth of the e-commerce industry from the front seat. Before joining Amazon, he has worked with InMobi and Johnson & Johnson in brand marketing and sales roles. With over 20 years of experience in the retail sector, Ratika has led customer experience transformation and marketing initiatives at organizations like PVR, Metro Cash & Carry, Bharti WalMart. She is currently the Head of Sales and Marketing at Kama Ayurveda. Kama has been at the forefront of promoting authentic Ayurveda for the last 17 years. At Kama, Ratika’s endeavour is to leverage her experience in setting up and scaling operations while keeping in mind the changing market and customer experience driven marketing needs in today’s environment. A young and dynamic professional, Shashank Surana holds nearly eleven years of experience in the corporate world. A Bachelors of Science graduate in Managerial and Administrative Studies from Aston University, Birmingham, United Kingdom, Surana kicked off his career at Ernst & Young, where he was an analyst in the Lead Advisory Team for Corporate Finance. His role at E&Y involved intensive industry and company specific research and building valuation models and managing live engagement projects. Shashank Surana joined Dharampal Satyapal Group in 2008 and learned the nuances of corporate strategizing and other aspects of Business. As Vice President, New Product Development, his current role comprises intensive market and brand research for new products; overseeing branding, marketing, packaging, and envisioning product cycle and positioning. With consummate marketing knowledge, time management skills and eye for details, he has successfully added to the growth and expansion of DS Group. An immensely passionate and self-driven individual, he has an exceptional ability to channelize ideas in strategy. His contribution to the Group’s foray in confectionary segment with Mini gums Chingles and its various flavours are note worthy. He plays a key role in Product Development starting from the ideation, research, packaging and marketing of all new products. The most recent being the outstanding success of Pulse candy, in the hard boiled candy segment. Surana has capitalized on market opportunities through his functional proficiency in the areas of Brand Management, Business Development & Planning and Team Management. Surana also has a keen interest in sports like Lawn Tennis and is an ardent reader of Management & inspirational books. An astute professional, avid marketer and an aspiring global leader; Sarthak, an alumni of UCLA Anderson School of Management & NUS Business School; holds an MBA in Marketing & Finance. With 14+ years of experience he specializes in brand strategy, creation & developing markets, consumer insights, visibility strategies and has been instrumental in conceiving, designing and implementing product and marketing initiatives for global brands viz. Panasonic, LG Electronics, Indian Hotels Co Ltd. in India & South Asian markets. 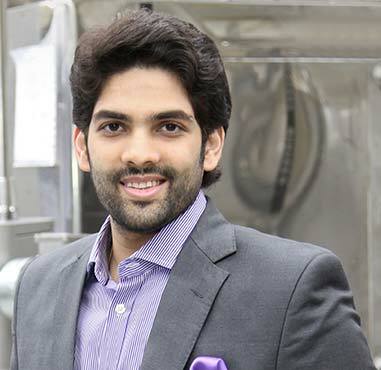 A top performer all throughout, Sarthak at a young age of 33 went on to head the Brand & Marketing Communications division and simultaneously Panasonic’s Exclusive Sales Channel too. His unparalleled approaches towards marketing led Panasonic won many honors and even register in Guinness World Records. In 2013, he received Young Achiever of the Year @ 4th CMO Asia in Singapore and also has been felicitated by some of the leading bodies in the field of Brand & Marketing including International Advertising Association (IAA), WOW Awards, EEMA etc. toward his contribution. 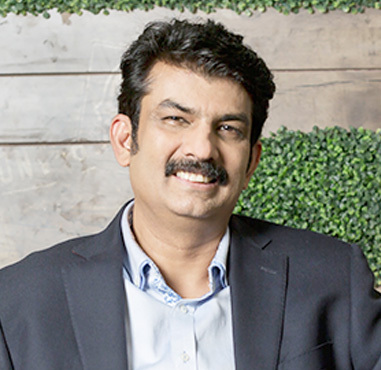 In 2015, he has been inducted in the Top 100 Marketing Leaders listing issued by World Brand Congress. 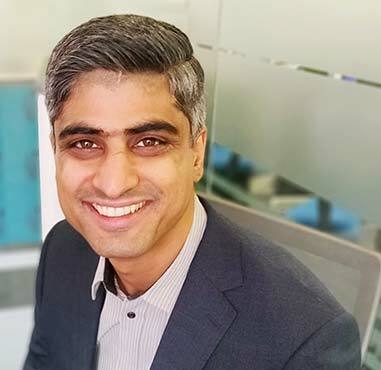 Rohan Arora joined Bausch+Lomb India as the Marketing head in February 2019. 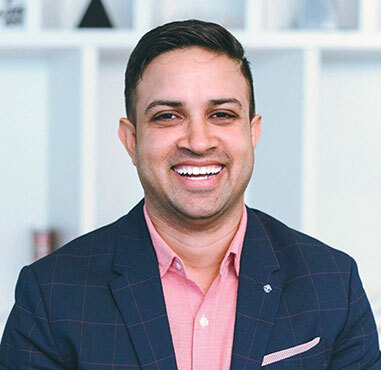 With an experience of over 10 years in the Consumer marketing space, Rohan has worked for brands like GlaxoSmithkline Consumer Healthcare and Perfetti Van Melle where he looked after brand management, consumer insights, digital marketing and new product development. 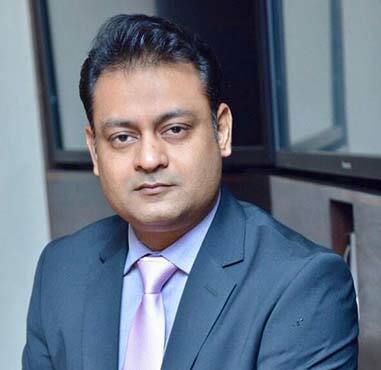 Rohan has done his MBA in marketing from IMT, Ghaziabad and has done his Bachelors in technology in Electronics and Communications from Jaypee University of Information Technology. Karan heads Brand Strategy and Marketing at Fabindia. During 17 years of distinguished experience, Karan has nurtured and led several brands to category and industry leadership positions. Focusing on story-telling derived out of customer insights, several of his works have been critically appreciated and have earned industry recognition. Proven practitioner across multi-age media ecosystems, Karan likes to write and share his learnings. His pieces have often been published across platforms and a collation of these can be found on his blog “Bolder Marketing” on wordpress.com. 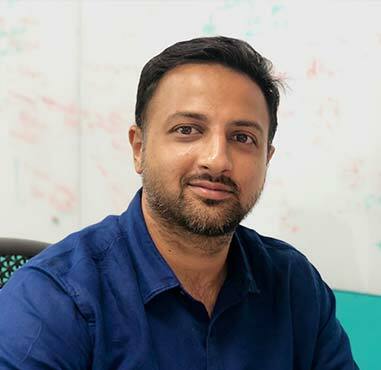 Founding member of The Marketing Society in India, Karan has twice presented research papers at the ESOMAR APAC conferences, where on one occasion he also earned “Best Presentation” award. He has been invited to be on the program committee of next ESOMAR APAC conference, scheduled in May 2019 in Macau. 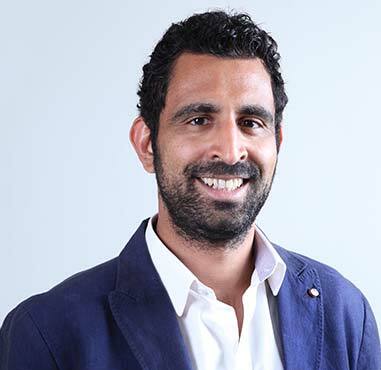 Kuldeep Chaudhary is currently Chief Executive Officer of ADOHM Adtech Pvt Ltd, a new age marketing platform powered by Artiﬁcial Intelligence. A B.E. in Electronics and Communications, Kuldeep co-founded ADOHM in the year 2017 along with his brothers Nishant and Sandeep (both engineers). Starting his professional journey as an RF Engineer, Kuldeep went on to pursue an MBA in International Business from Technische Hochschule Nürnberg, Germany. Kuldeep also co-founded Nikulsan Technologies Pvt Ltd, a digital marketing ﬁrm in the year 2010. Kuldeep is an experienced owner with a demonstrated history of working in the marketing and advertising industry. Strong entrepreneurship professional skilled in Digital Marketing, Product Management, and Artiﬁcial Intelligence. Kuldeep takes an unconventional approach in every project, helping clients to get into unexplored territories and taking brands to the next level. 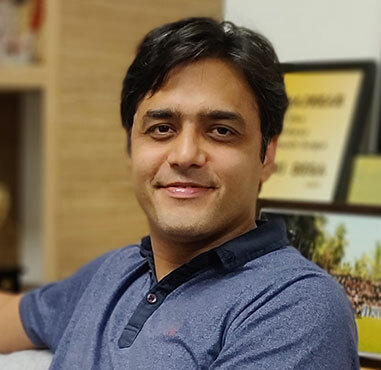 Prashant Puri is the co-founder & CEO of AdLift, a global Digital Marketing Solutions company with offices in the US (SF Bay Area) and India (Gurgaon & Mumbai). An alumnus from Columbia University, Prashant is a digital marketing expert having more than 15 years of industry experience. With his ability of building websites into multi-million dollar enterprises, he played an instrumental role in setting up the company and taking it to a high growth trajectory. Prior to founding AdLift, Prashant played the Head of Global Marketing at eBay’s comparison-shopping arm - Shopping.com, where he established footprints of the company worldwide. Before that, Prashant’s leadership role at Yahoo! revolved around cutting edge technologies that focused on driving synergies between search and display. Vetted as an industry expert and veteran, Prashant is being invited to speak at numerous digital marketing conferences and conventions around the world, including SMX, SES, Pubcon, IAMAI, adtech, iMedia, NASSCOM etc. and has contributed to several search marketing journals including Search Engine Journal and Marketing Pilgrim. Today, AdLift is one of the country’s top search-marketing firms, focused on delivering digital marketing ROI. Prashant is an avid skier and loves hitting the slopes every chance he gets! In summer, he enjoys the occasional rafting and kayaking.